PLEASE READ ENTIRE LISTING CAREFULLY!! This listing is for a saddle bag style VEST that attaches to a Service Dog harness. A HARNESS IS NOT INCLUDED!! The harnesses in the pictures are only there to show how this vest works and what type of harnesses it will attach to! This style vest is made with long straps that wrap around a harness. The vest will be custom made in the color and style you choose. Please read entire listing and choose carefully as custom orders are not returnable. If you have questions ask! 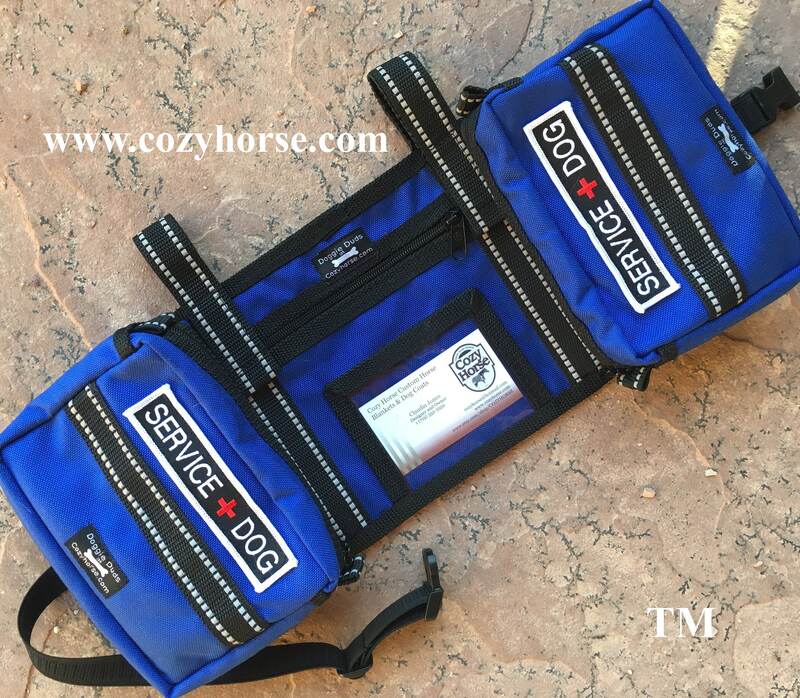 *Basic - NO PATCHES OR ID POCKET - vest will only have zippered pockets and reflective stripes. *With loop patches only - one 1x5 inch loop patch on each side pocket. Vest is 7" front to back x 17" side to side. Side pockets are 5" deep by 7" wide. Vest will have long straps for attaching to a harness. Straps are set at 7" apart. Elastic girth strap adjusts from 28" - 36" before stretching. IF YOU HAVE QUESTIONS PLEASE ASK BEFORE PLACING YOUR ORDER!